unblock the card in real time and checking your balance comfortably from your PC or smartphone. Opening our online current account you will receive for free the associated debit card. We guarantee a maximum daily withdrawal limit of 5000€, POS payments with no commissions and free balance requests. Bring your bank along with you and receive chat support from 9 to 24 hours, 7 days per week! 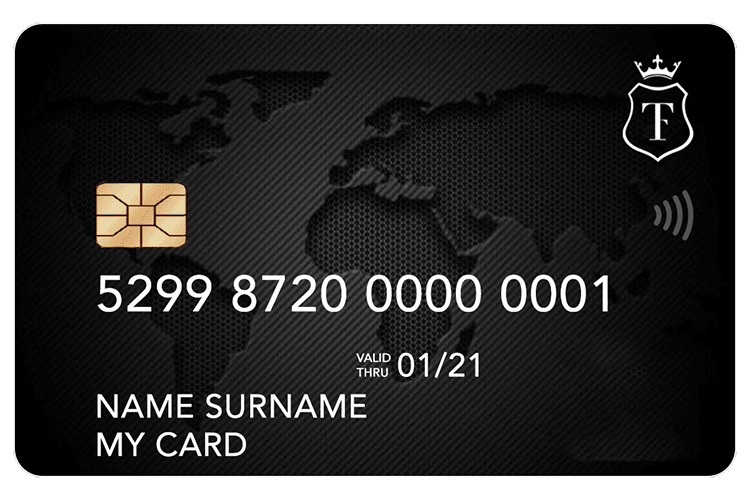 Thanks to our Debit Card with embossed numerals you can carry out operations at Mastercard ATMs all over the world with no fee for currency exchange. Our mission is to support anyone, individuals and companies. Our current accounts satisfy any personal or business need. We work to give you the best. To allow everyone to have a checking account even if you've had protests.